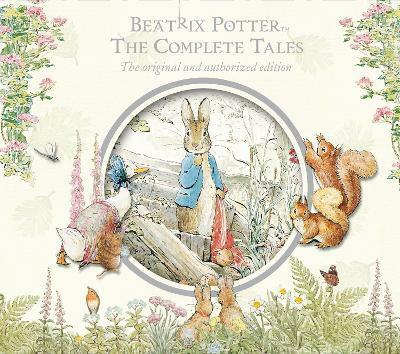 A fabulous six-CD audio box-set containing the entire collection of stories by Beatrix Potter, complete and unabridged. The twenty-three tales in this giftset, have never lost their popularity, and sell in their millions all over the world. Meet again the famous characters that children love and adore... PETER RABBIT, SQUIRREL NUTKIN, THE FLOPSY BUNNIES, MRS TIGGY-WINKLE, TOM KITTEN, JEREMY FISHER, JEMIMA PUDDLE-DUCK and many more. These stories are beautifully brought to life by a talented cast of readers, including Patricia Routledge, Timothy West, Michael Hordern, Janet Maw, and Rosemary Leach. Beatrix Potter was born in London in 1866. As a young woman, she studied art and natural history, and she started her career as children's author and illustrator with the publication in 1902 of the hugely successful THE TALE OF PETER RABBIT. She spent the last thirty years of her life in the Lake District working as a sheep farmer and countryside conservationist.